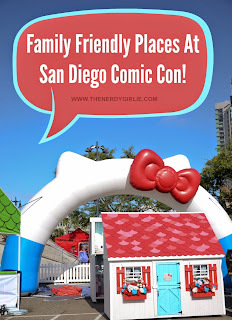 I don't have children, but I have some awesome lil girlies in my life who are excited to try out San Diego Comic Con for the first time this year! I've been a part of their family since my move to San Diego and they FEEL like mine so I cannot wait to share my favorite place on Earth with them! I put together a list of great family friendly places to take your children during San Diego Comic Con and the BEST thing is you DON'T need a badge for any of these places! 1. Nintendo Marriott Suite. Directly next to the San Diego Convention Center is the Marriott. Inside the hotel is a room full of Nintendo awesomeness! Tons of games to play, lots of swag and even a place for worn out parents to sit down and rest! 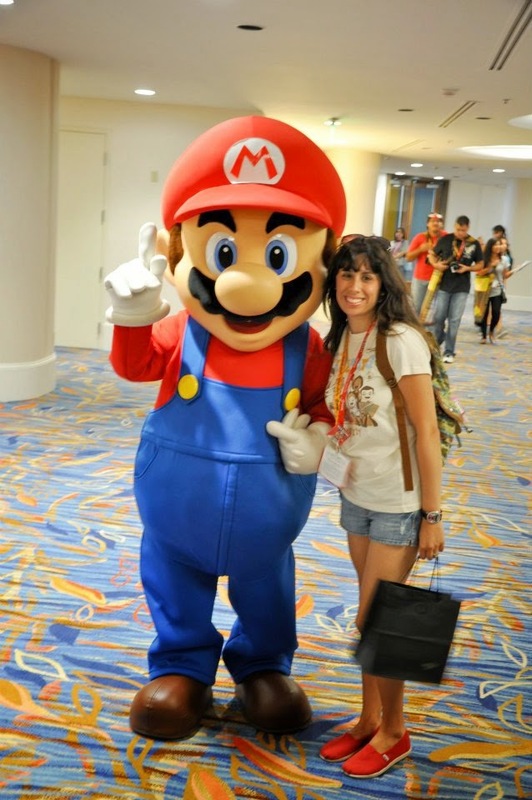 If you are around at the right moment you might even run into Mario or Pikachu. 2. Hilton Bayfront. The front lawn of the Hilton Bayfront, on the OTHER side of the Convention Center is always a party. Past funs have been the Warner Brothers stage with mini panels, Bat Mobiles, Lego Hobbit homes and a Simpsons Carnival. I love how they surprise us each year with something new! 3. The Children's Museum. I've never been over to the Children's Museum myself, but I've always wanted to. It looks like a neat place during regular time, I cannot imagine how much more amazing and nerdy it would be at SDCC time! 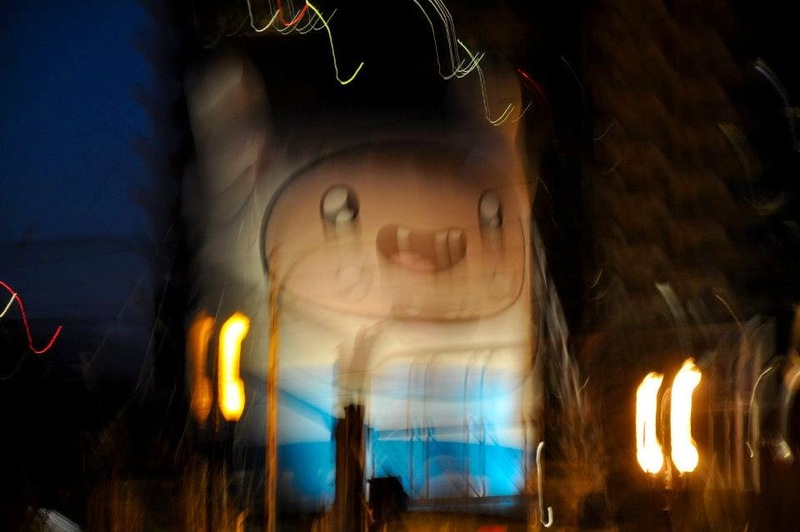 In the past they have featured Cartoon Network shows like Adventure Time. 4. Walking the Gaslamp. 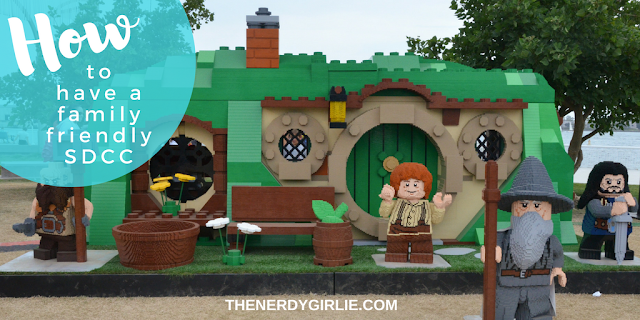 This might be a bit overwhelming for extra small ones, but for big ones it can be a great time. 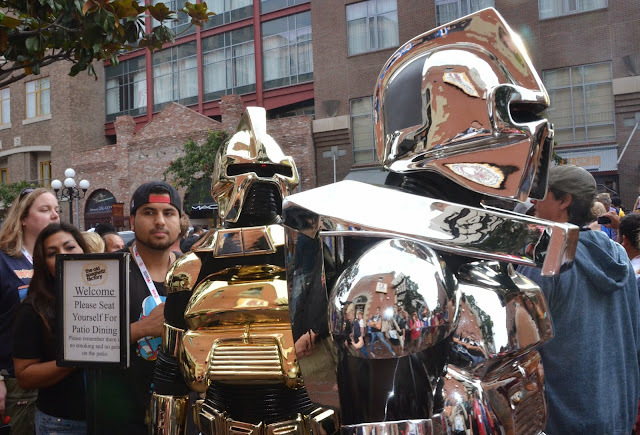 All of their favorite characters will be walking around. Lots of free goodies are being handed out and pop into any of the many restaurants for SDCC specials. If you can get a seat at The Spaghetti Factory's patio or near one of their windows facing the street, you are in for some great people watching! So that is it nerd parents! I hope that you and your little ones can have a fun time at SDCC with these five suggestions! If anyone else has any places they know of for children at the con, please leave them in the comments below! I would love to continue to grow this list! 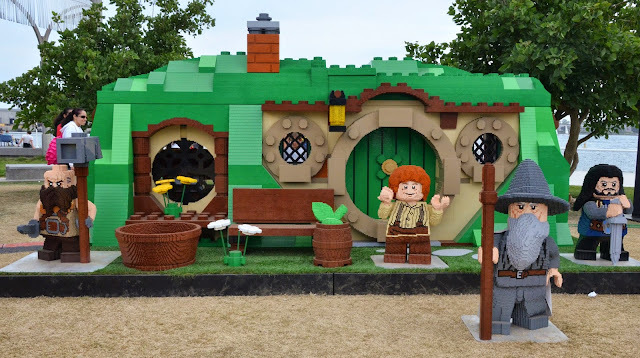 Oh my gosh, that Lego Hobbiton is adorable. Such fun things! Great suggestions! I loved the Hello Kitty exhibit last year - it was so much fun!